This week Rahul Bajaj, our first Spicy IP fellow for this year, analyses the recent Delhi High Court judgment in Piccadily Agro Industries Ltd. v. Ashok Narwal and Anr. As we’ve noted on this blog before, the precise meaning and import of the explanation to Section 20 of the Civil Procedure Code (“Code”) has been a hotly contested issue in courts across the country. Section 20 of the Code, as our readers would know, inter alia, empowers the Plaintiff to file a suit at any place where the Defendant resides or carries on business. The explanation to the section makes it clear that a corporation will be deemed to carry on business at any place where it has its sole or principal office or, in the alternative, at any place where it has a subordinate office in case the cause of action arises at such place. The Plaintiff, Picadilly Agro Industries, has been selling country liquor in Haryana since 2007 under the artistic label ‘Malta’ prefixed with the word ‘Masti’. In August 2015, the Plaintiff learned that the first Defendant, who is an authorised agent of the Plaintiff, was selling country liquor in Haryana in connivance with the second defendant by adopting an artistic label that is deceptively similar to that of the Plaintiff. Stripped of its legal accoutrements, this judgment precisely holds, as I shall shortly explain, that such an interpretation of the law, wholly incompatible with common sense, cannot be countenanced by courts. The Plaintiff contended that the Delhi High Court was competent to adjudicate upon this dispute for three main reasons. First, the Plaintiff relied on section 135 of the Trademarks Act, 1999, to contend that a Plaintiff is legally empowered to claim, inter alia, rendition of accounts as a substitute for damages in a passing off claim. 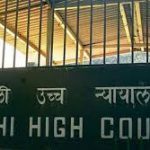 Since its prayer was confined to rendition of accounts, the Plaintiff argued, the Delhi High Court was vested with the jurisdiction to hear this case since the second Defendant’s books of accounts are kept at its registered office in Delhi. Second, since the registered office of the second Defendant is located in Delhi, it takes all its business decisions with respect to the manufacture and marketing of its country liquor in Delhi. Further, the second Defendant has filed its application for the registration of the impugned trademark before the Registrar of Trademarks in Delhi. 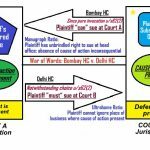 As these circumstances constitute the cause of action upon which the Plaintiff’s claim is founded, the argument goes, the Delhi High Court has the territorial jurisdiction to hear this case. Finally, the Plaintiff argued that the Defendants did not have any subordinate office in Haryana, so even if the cause of action arose there, the second part of the explanation to section 20 would not be attracted in the absence of any subordinate office. In response to the Plaintiff’s arguments, the Defendants broadly put forth four main contentions. First, the Defendants argued that the mere fact that they were making their business decisions with respect to the manufacture and marketing of their product at their registered office in Delhi would, by no stretch of imagination, confer jurisdiction on the Delhi High Court to hear the case. Since such decisions only had a tangential linkage with the case, they argued, they did not constitute the cause of action upon which the Plaintiff’s claim was founded. Second, relying on the Supreme Court’s celebrated decision in the case of Patel Roadways Limited, Bombay v. Prasad Trading Company, the Defendants argued that it was a well settled principle that each of the two parts of the explanation to section 20, since the two were separated by the disjunctive ‘or’, envisaged a different place where the Defendant could be sued. In other words, Patel Roadways made it clear that the Defendant could be sued, all other things being equal, at the place where its principal/registered place of business was located. However, and this is hugely important, if the Defendant had a subordinate office, and the cause of action arose at the place where such subordinate office was located, then the territorial jurisdiction to hear the case would exclusively vest in the court within whose jurisdiction the subordinate office was located+ the cause of action arose. Third, the Defendants contended that the Plaintiff was conflating two distinct issues – the place where the cause of action arose and the place where the decree for rendition of accounts had to be executed. In other words, while it is true that the decree for rendition of accounts, if granted to the Plaintiff, would have to be transferred to the Delhi High Court for the purpose of execution since the second Defendant’s books of accounts are located in Delhi, this does not mean that the cause of action arose in Delhi. Finally, the Defendants contended that the interpretation that the Plaintiff sought to put on the explanation to section 20 would render the second part of the explanation otiose. In other words, if it were accepted that regular business activities such as maintenance of books of account or taking important business decisions at the registered office of the Defendant was sufficient to confer territorial jurisdiction upon the court within whose jurisdiction the registered office was located, the court within whose jurisdiction the actual cause of action viz. the sale of the infringing material occurred would be deprived of its rightful jurisdiction even if a Defendant’s subordinate office were located within the jurisdiction of such court. Did any of the activities that the second Defendant performed at its registered office in Delhi constitute the cause of action for claiming passing off? If the answer to the first question were in the negative, did the second Defendant have any subordinate office in Haryana since the same was the sine qua non for attracting the second part of the explanation to section 20? The court prefaced its response to the first question by referring to the Supreme Court’s judgment in Union of India v.Adani Exports which enunciated the axiomatic principle that not every fact set forth in the plaint ipso facto constitutes the cause of action; sans a nexus with the case at hand, a fact cannot form a part of the cause of action. Applying this principle to the case before it, the court held that the maintenance of books of accounts by the second Defendant’s or its marketing and manufacturing decisions would be absolutely irrelevant in a case of passing off. Further, the court rejected the Plaintiff’s argument that the fact that the second Defendant had applied for the registration of the impugned trademark in Delhi constituted a part of the cause of action. By referring to the Delhi High Court’s decision in Pfizer Products v. Rajesh Chopra, the court held that an advertisement in a trademark journal was not ipso facto sufficient to confer jurisdiction upon a court within whose territorial limits the advertisement was published. 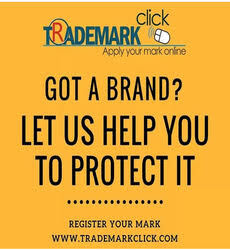 However, this point may merely be of academic interest in light of the fact that the trademark registry, even for registering trademarks of applicants located in Haryana, is situated in Delhi. As a result, the second Defendant had no choice but to file the trademark registration application in Delhi. After having answered the first question in the negative, the court observed that the second Defendant had clearly mentioned in its trademark registration application that it had an office in Yamuna Nagar, Haryana, so the Plaintiff’s claim that the defendants did not have a subordinate office in Haryana could not pass muster. On the basis of this line of reasoning, the court came to the conclusion that courts in Haryana would have exclusive jurisdiction to entertain this dispute as the case squarely fell within the second part of the explanation to section 20 of the CPC. 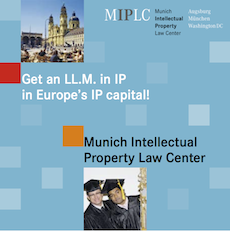 In conclusion, this case is likely to play a significant role in discouraging forum shopping by foreclosing the adoption of specious arguments by Plaintiffs in a bid to get their disputes resolved by courts considered more IP-savvy. An appeal has been filed against the order of HMJ Vipin Sanghi and was being heard by the Bench presided over by Justice Geeta Mitgtal in FAO(OS) 90 of 2016. I think the arguments have not concluded.